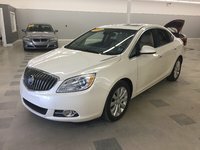 Berwick Used Car Centre offers you this 2012 Buick Verano W/1SD. Drop by our store or ask online for more information about this vehicle. Drive Away in the Perfect Pre-Owned Vehicle Today! 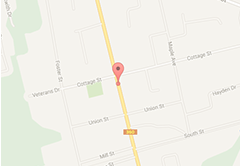 Are you in the market for a pre-owned vehicle in Nova Scotia but you just haven’t found the right one yet? Come in to Berwick Used Car Centre without delay and take a look at our impressive inventory of quality pre-owned vehicles from various makes, including Chevrolet, Chrysler, Ford, Honda, Mazda, and many, many more! If you have a vehicle in mind, then we’ve got it! And if we don’t have it on site, we will do our best to find it for you. We are proud to offer a wide selection of quality used cars, SUVs, and trucks that have all undergone a rigorous, multi-point inspection process to ensure guaranteed quality, reliability, and safety on the road. We know that buying a used vehicle can often be a stressful experience, but it definitely doesn’t have to be! Visit Berwick Used Car Centre today and we guarantee you’ll find the perfect vehicle for your needs, budget, and lifestyle – all in a relaxed and pressure-free environment. Book an appointment today with one of our expert sales representatives by calling 1 844 216-2148 or through our online contact form. We look forward to making sure you drive away in the perfect pre-owned vehicle in Berwick for you! Get in touch today.